Shiny Happy Peebles debuted three years ago today! I have learned a lot since I began: how to be kinder to myself; that comparison is the thief of joy (as Teddy Roosevelt said); but most importantly, the act of writing is its own reward. My life has changed significantly in these three years, mostly for the better, but the beautiful seasons have also held some of my hardest days. So I plan to keep chugging along and enjoying what I learn and create along the way. And I hope you’ll enjoy the ride, too! Six months without posting to my blog … I wish I could say I have just been too busy making shiny, happy memories with our new son, Teddy. While these past months have been filled with many beautiful moments, they have also been tremendously difficult. My son was born the day before my father turned 50 years old. One month later, we were on a plane to Chicago for my beloved grandfather’s funeral. A month after that, my father was diagnosed with Pancreatic Cancer. Your life can change in an instant. A cancer diagnosis is terrifying and forces you to face the mortality of a loved one. 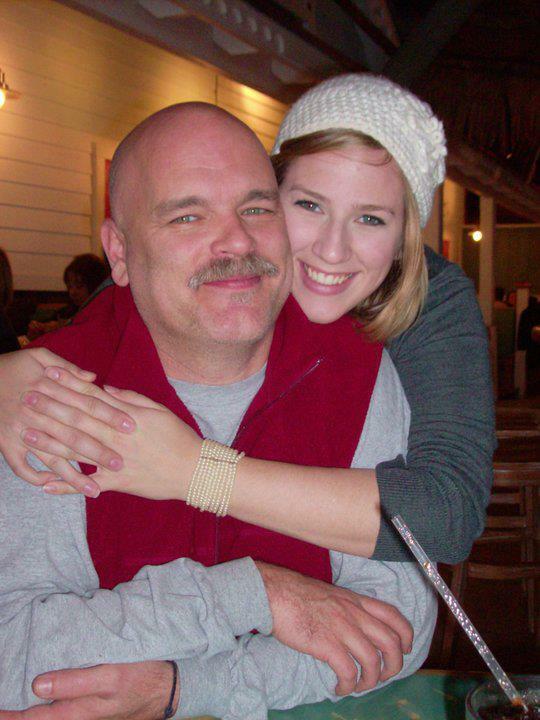 For me, it was impossible to even entertain the idea of a future without my sweet daddy in it. From the very beginning we were doggedly optimistic. They had caught the cancer early and started dad on chemo right away. 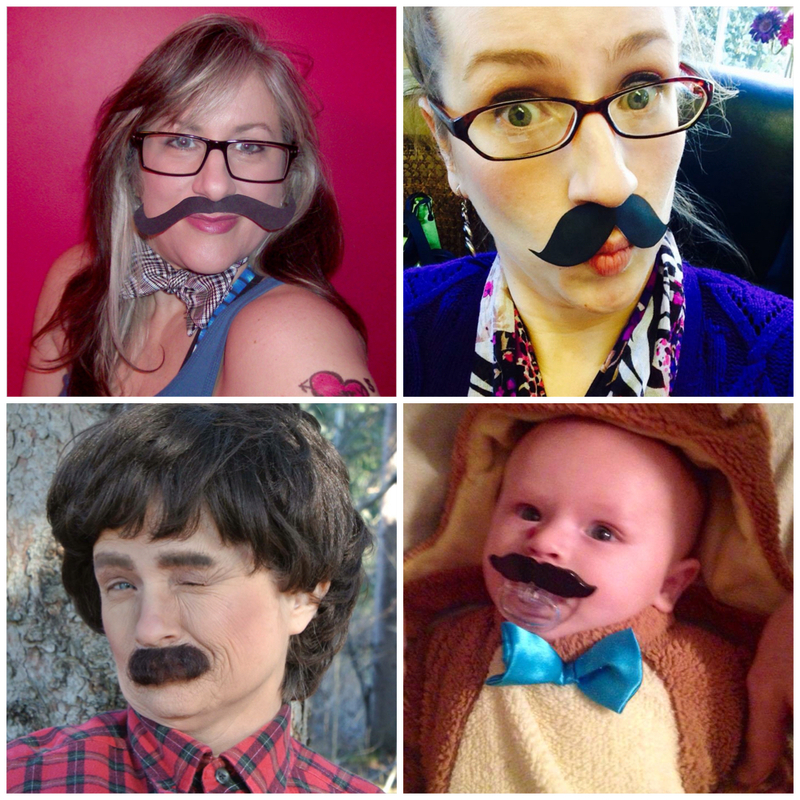 During his treatments, we looked for many ways to keep up dad’s spirits (and our own). We asked family and friends to send cards and gifts, to share favorite memories and photographs — anything to let dad know how dearly he is loved. 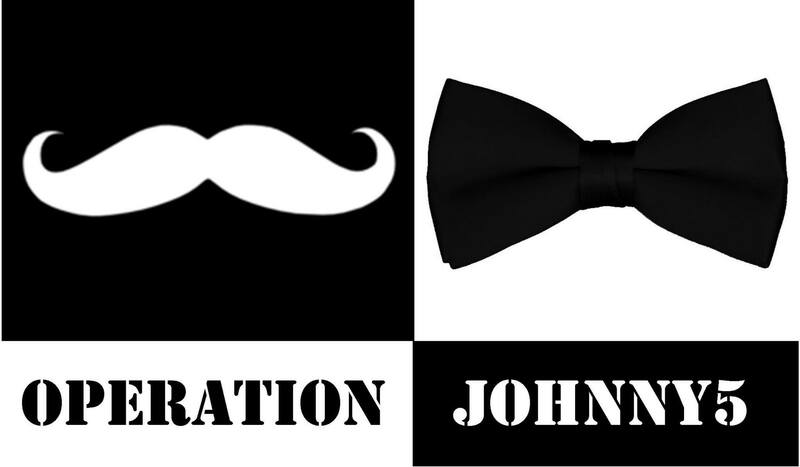 I started a campaign called Operation Johnny 5 and asked people to wear bowties or fake mustaches in support of dad. Our eyes were set on a CT scan in January, which would reveal if the chemo had worked, and we were stubbornly and fiercely optimistic. Dad’s blood work looked good; his cancer markers were low. Everything seemed to point towards a positive outcome. We went into the holiday season full of hope! Just before Christmas, my sister got engaged. Another wonderful reason to celebrate. Christmas Eve and Christmas Day were busy with multiple family celebrations, car trips back and forth, and presents galore. We tried to make the most of every moment, acknowledging reluctantly that it could be our last Christmas with dad. We made so many special memories, but even our best moments were tainted by the debilitating effects of the chemo on dad. We looked to 2015 with hearts so hungry for good news. 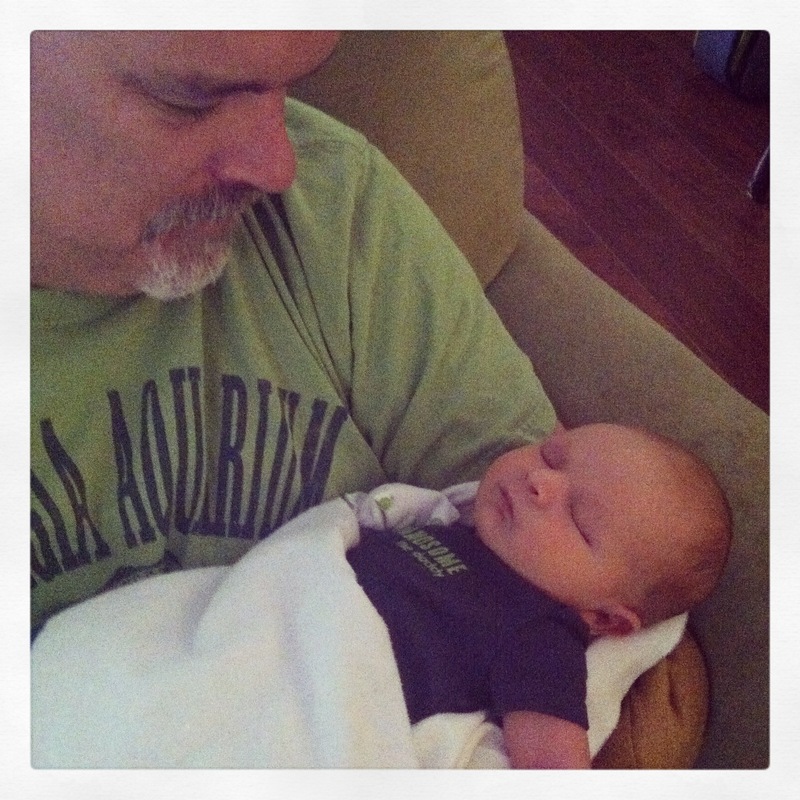 When we found out that dad’s tumors had grown and the cancer had spread, it was devastating. We pushed forward immediately to a new kind of chemo, trying to rally hope again, but our momentum was derailed quickly. While on a business trip to Charlotte, Dad took a turn for the worse. After vomiting blood, he was admitted to the hospital where it was discovered that an important vein had been blocked by the tumors. An emergency stent procedure was required to prevent a rupture that would cause him to bleed to death. I spent three days in a hospital room with my dad, mom, and sister. We clung to each other, trying our best to grapple with this sudden brush with death. The procedure was a success. Our family and friends, near and far, let out a collective sigh of relief. Dad and mom were even able to leave the hospital in time to celebrate their 28th wedding anniversary … with a pizza picnic on my living room floor since they were too tired to make the drive home in one trip. These were small victories but desperately needed. Dad was able to have another chemo treatment, but that next week he was back in the hospital for severe dehydration and jaundice. Another week later, he was in the hospital again for severe pain. That was when the doctors confirmed our worst fears: the cancer was progressing aggressively. There were no longer any medical options to save his life. All they could do was keep him comfortable and give him more time. It was Valentine’s Day weekend. They told us to prepare for 4-6 weeks. How can you possibly prepare to say goodbye in such a short amount of time? You can’t. In the midst of our heartbreak, life goes on. Jobs and household tasks still need to be done. Bills must be paid. It all seems so mundane and pointless: the charade of pretending to be a functioning human being when you are falling apart inside. Coming to terms with this tragedy was hard enough, but watching my mother’s anxiety about the numerous financial mountains she will face after my father’s death and even now during his last weeks has been unbearable. Even worse is seeing the heartbreak in my father at leaving her in that position. My parents always put others first. For 15 years, my father volunteered as a volleyball coach. They put me and my sister through private school and contributed generously towards our college educations. Three years ago, they helped pay for our wedding. Then they helped us with the down payment on our house. If anyone ever came to them in need, they helped. Two years ago, my mother had both her hips replaced, surgeries and rehab that cost them $22,000 out of pocket. All of these sacrifices were made while they were also paying for mom to finally finish her degree so she could pursue her lifelong dream of being an artist. 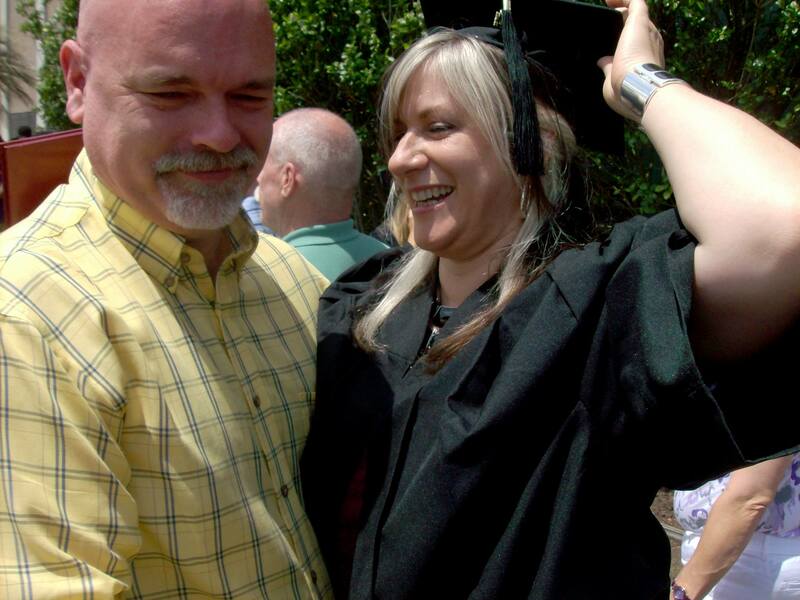 Mom graduated from college in May 2014, and I have never seen my dad so proud. They thought they had time to build back their reserves and save more for retirement. Little did they know that dad’s cancer was looming in the future and would burden them with over $25,000 in medical bills. As a fundraiser by profession, I knew I could do something to help. On Sunday, March 8th, I started a website for dad and mom on GiveForward. We raised over $11,000 on the first day. On the second day, we raised $6,000 more. By day three, we had raised 76% of our goal with 136 donations. Seeing the gifts and heartfelt messages pour in from all over has been overwhelming. It is a testament to the life my parents built and my father’s wonderful ability to touch people’s hearts. I can’t save my father. 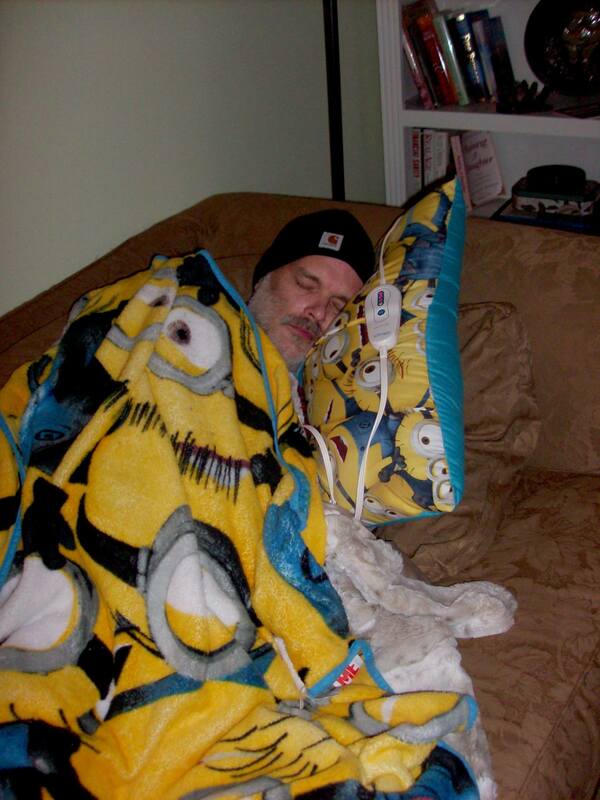 I can’t stop this cancer from taking his life. But I can make sure he knows he is loved and that his life was well-lived; and I can remove some of the worry from his heart about my mother’s financial stability after he is gone. There are going to be good days and bad days. I’m not sure I will ever adjust to the new bittersweet taste of my life. 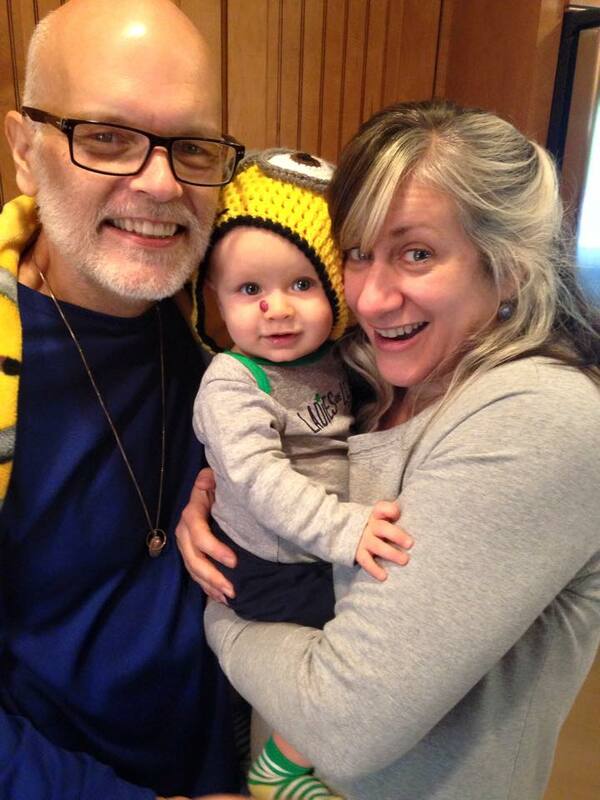 This summer, the excitement of my son’s first birthday will be tempered by the absence of his grandfather, who would have been 51 the next day. In October, my tears will fall in joy and in sorrow when I watch my sister walk down the aisle without our father on her arm. But today is a good day. Today, I feel less helpless and less broken because I have made a difference in my father’s life and my mother’s future. My father and mother with my son. We just found out that our fundraiser has been selected to receive a $500 donation from GiveForward if we reach our goal of $25,000 by midnight on Friday, March 13. Please try to donate by Friday so we can receive these extra funds! If you have already donated, please share the website with your family, friends, offices, churches, etc. During this difficult journey, we are continually amazed by the kindness of strangers!